Our 5x7 frame with Now That You're a Grandma poem is a perfect gift for a new grandma. Give to a girlfriend becoming a grandma, a sister or coworker. They will love the sentiment and that you thought of them at this amazing time in their life. Each beautifully embossed card comes framed in either a white or silver detailed wood frame for desk display. 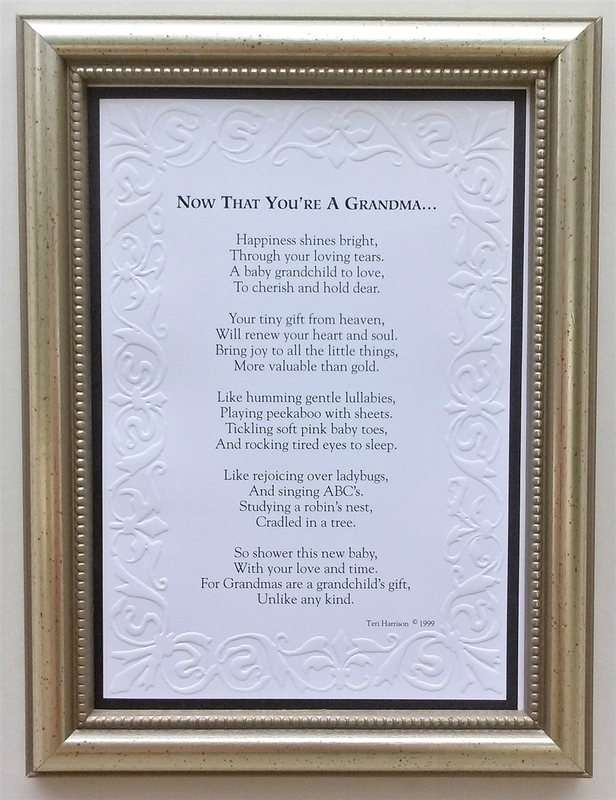 Well wrapped (travelled to Canada) and just a beautiful framed verse for my Sister-in-law who is a first time Grandmother. Absolutely excellent service. Yes, I would recommend your company anytime; so happy I found your company through Zulily.